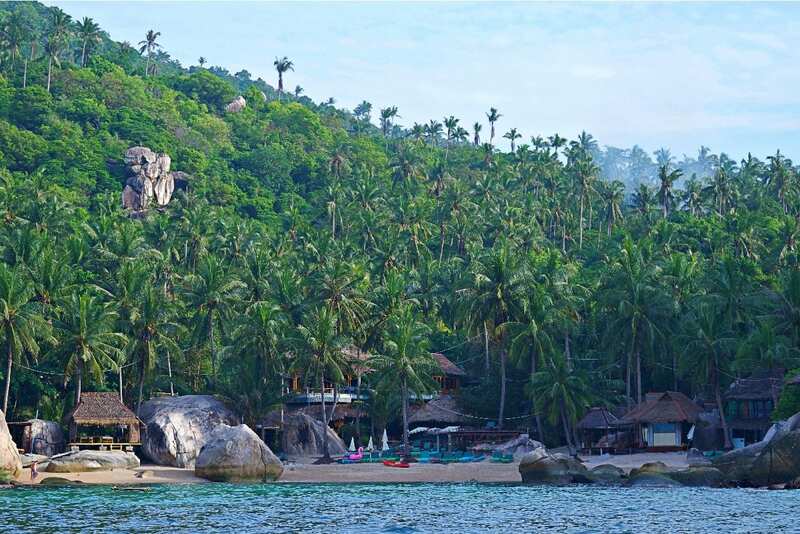 Koh Tao has a reputation among the traveler community as paradise. 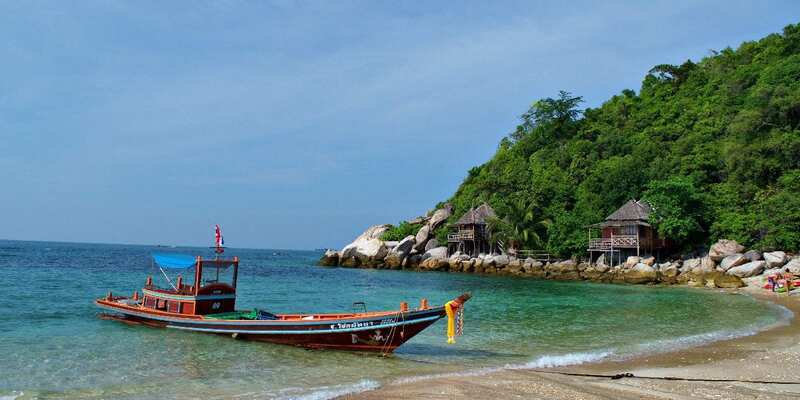 It is a tiny island off the southeast coast of Thailand that features white sand beaches, a laid-back style and some of the cheapest diving in the world on tropical reefs. 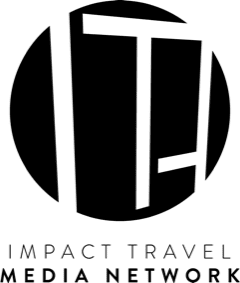 In fact, the price conscious traveler looking to spend a gap year abroad could find everything they are looking for here. Fan only (no AC) rooms with an ocean view can be had for about $20/night and dorm rooms for even less. $3 food options were everywhere with lots of your favorites like pizza and hamburgers. Plus, there will be hordes fellow travelers to keep you company in the hopping happy hour at any of the abundant bars. You can even dive for $30/day for a two tank boat dive at over 60 dive sites. If this sounds like all you are looking for feel free to stop reading now, you’ll step off the boat and find it in abundance. 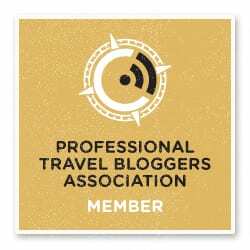 If you’re looking for a little more customer service and how to see an enchanted island keep reading. 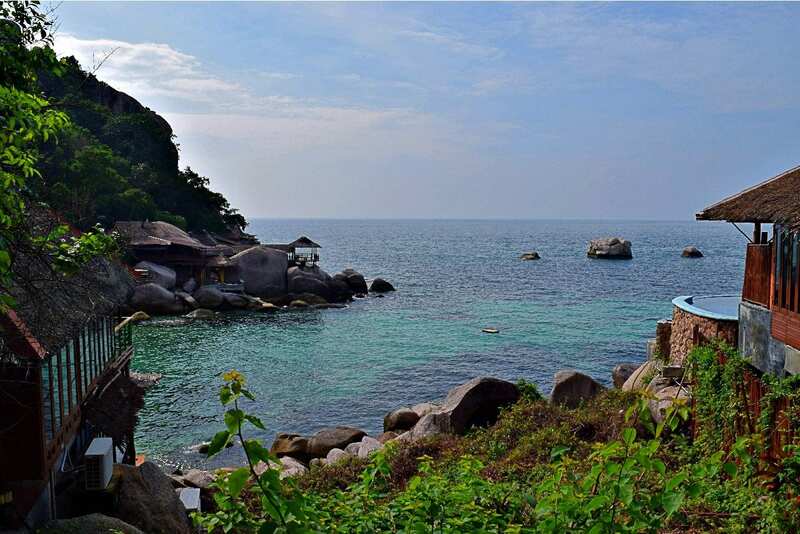 Koh Tao is in the Gulf of Thailand. 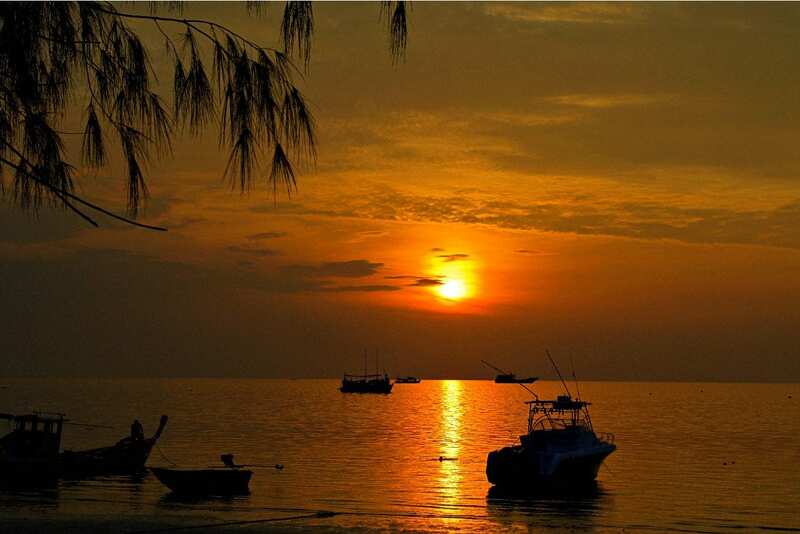 It is the smallest island of an archipelago including Koh Samui and Koh Pha Ngan. 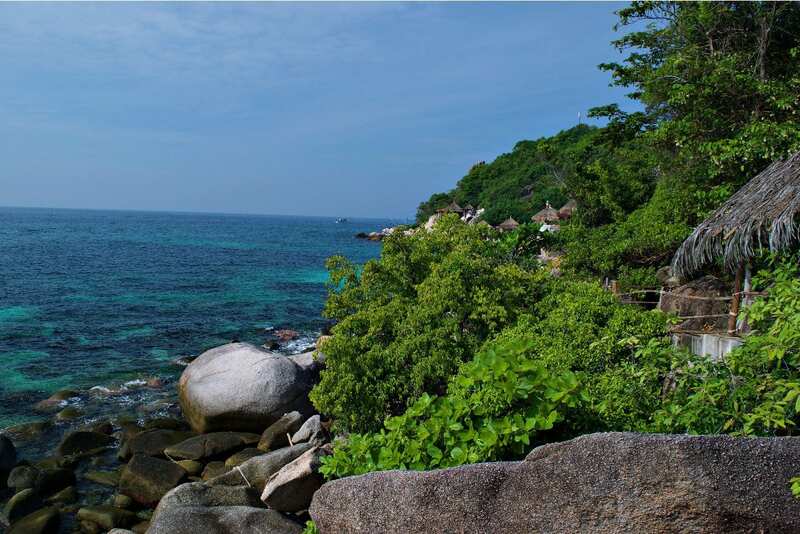 Our research indicated that Koh Tao was the quietest and most natural of the three so it seemed like a great destination. 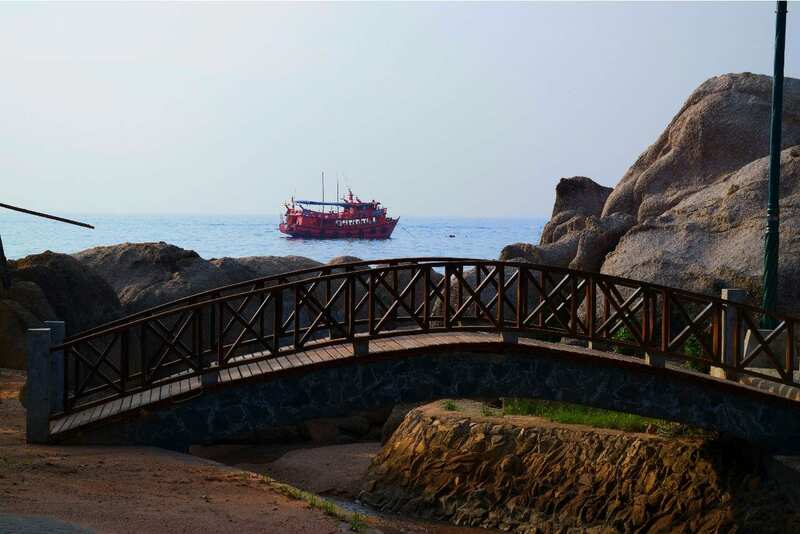 Koh Tao can only be reached by boat, but there is regular commercial ferry service. 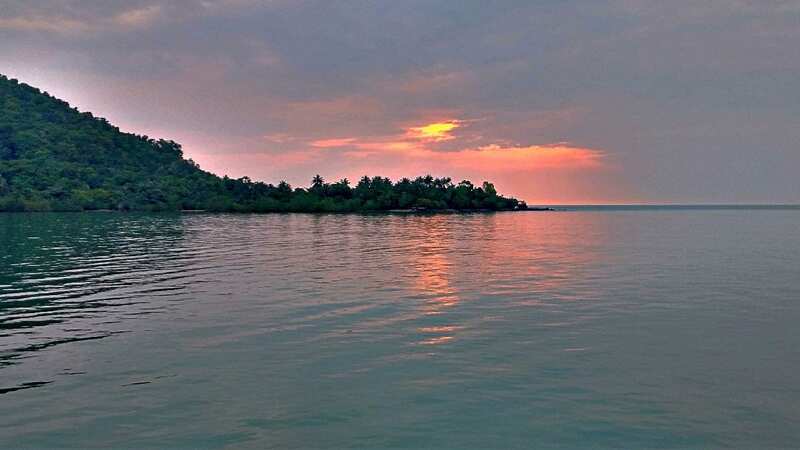 Trip Advisor offers five ways to get there ranging from the expensive but easy flying to Koh Samui to catch a ferry to the cheap but long 13 hour trip by train from Bangkok to Chumphon. We didn’t do any of these. Our travel to Koh Tao was part of the Grasshopper Adventures bike tour, so they dropped us at the Chumphon ferry. Our journey back was with Lomprayah to Surat Thani and then connecting to a bus. We were heading to Khao Sok on a public bus, but they also offered air-conditioned luxury buses to Phuket. All Ferries dock at Mae Haad Pier in Koh Tao. 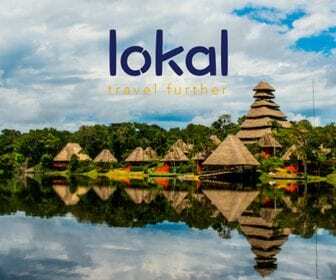 We later figured out an incredible 13-day Thailand eco-itinerary that lets you go glamping in Khao Sok and visit elephants too without a lot less logistic hassle. We loved our time with Tick and our four-day bike tour down the Thailand coast. The service was impeccable and seamlessly delivered with a focus on authentic experiences. Tick made sure we were upgraded to first class passage (just part of the Grasshopper package) and then we said goodbye at the dock. It was god awful early. Dawn was just turning pink and we were alone in Thailand. They had some serviceable coffee and breakfast at the dock but it’s nothing to write about. We watched the sunrise through our air conditioned first class seats heading to Koh Tao. The seas were calm. The ferry fast and before we knew it, we were in Koh Tao. Both literally and metaphorically, we left our first class seats and descended into the belly of the beast. The engineer in me thinks there has to be a better luggage loading paradigm than piling all the bags in the front of the boat and just letting everybody walk up both aisles to get their bag and then exit off the rear of the ship. As bad as this system was, some of the travelers were even worse. The one who stands out was this twenty-something hippie girl who looked like she might still be coming down from last night’s party. She must have been in quite a hurry or feeling particularly entitled because she literally pushed and shoved her way past us (and everybody else) to get to her bag. The crowd of drivers waiting at the dock was impressive as well. We must have said no to twenty rides past the pier to our waiting hotel shuttle to Koh Tao Simple Life. 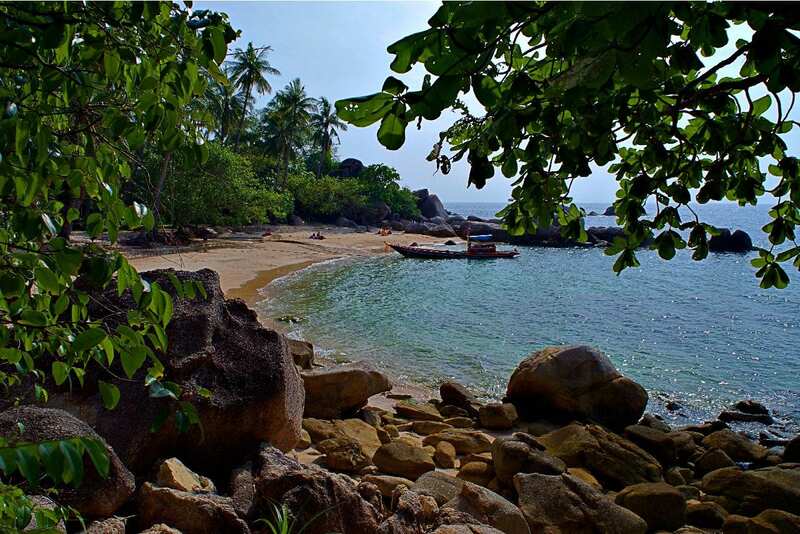 We had the right idea when we picked Koh Tao Simple Life at Sairee Beach, we wanted to get out of the fray. We didn’t go quite far enough. The center of action in town is for sure Mae Haad dock, but Sairee Beach is a close second (more later about how to actually get away). From our hotel room, we could look down onto the boxing arena and rave venue. We didn’t stay long enough to be kept up all night, but it could have happened. The rooms were clean, and the staff was professional and courteous. The attached Simple Life restaurant was our favorite on the island and had good Thai food (which was amazingly hard to find). I guess our biggest issue was walking out onto the dirty and hectic road to get anywhere. There was one main road for all the car traffic and, with the recent rains, it was super dirty. We lost a little piece of peace every time we stepped out. Make no bones about it. 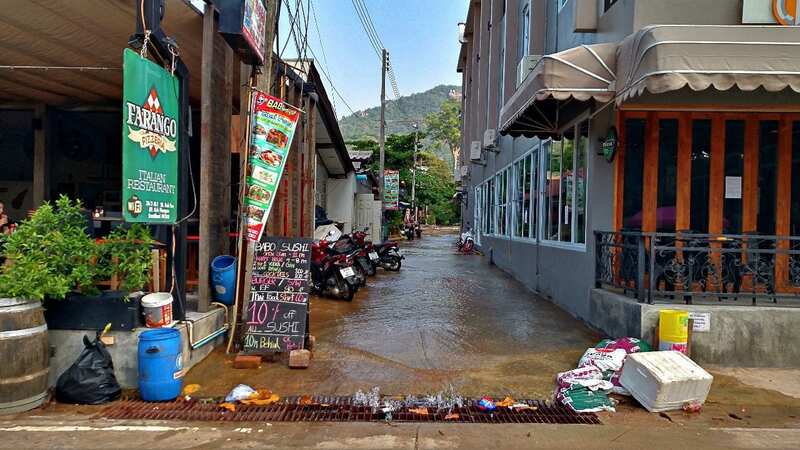 We came to Koh Tao to dive. We weren’t alone either. 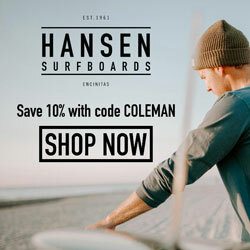 There are literally hundreds of dive shops on this tiny island and nearly as many places to dive. The prices can’t beat either. 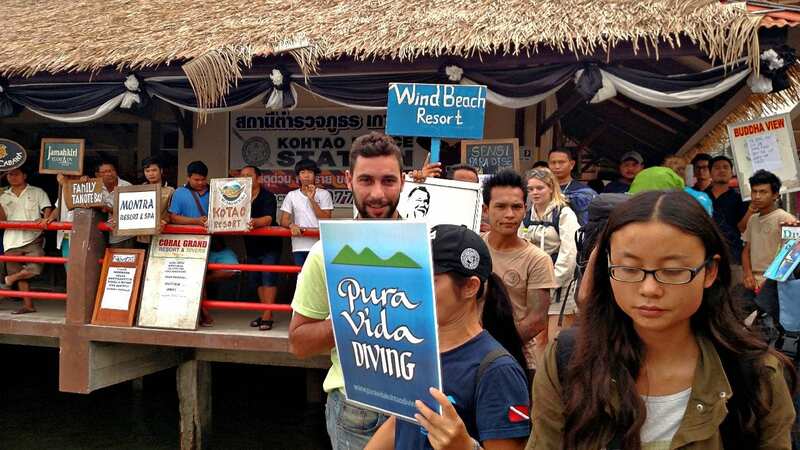 I would wholeheartedly recommend everybody who is interested in advancing their diving game to take a scuba class here, be it Open Water or Advanced or a specialty course. You will not see prices like this anywhere else. We would have taken our Advanced for sure if it wasn’t for a recent medical scare making me think twice before I started deep diving in a remote corner of the world. These features were also part of the problem. 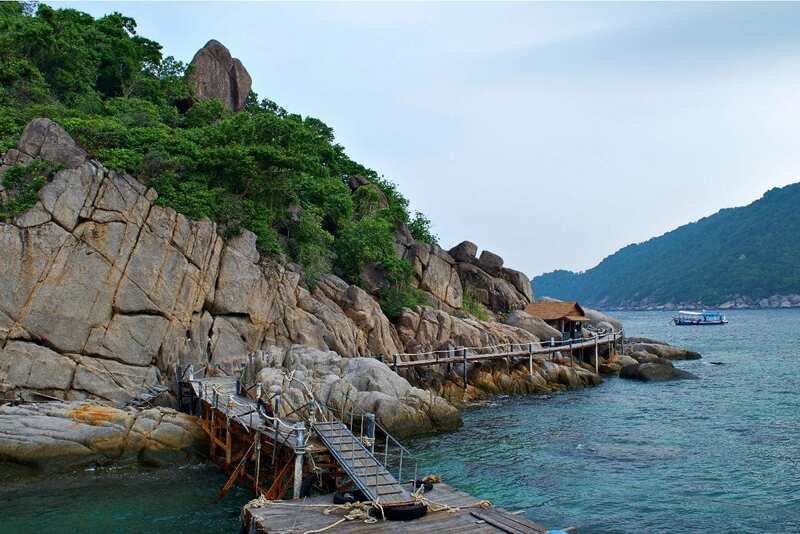 Even though there is an abundance of diving, the most accessible and prominent are around Koh Nang Yuan. It seemed like we were always waiting for a group of divers in training to pass. I am sure that the reef is taking a beating too. Still, it was good enough for us to sign up for the second day. Admittedly, we did research a couple of more options first. 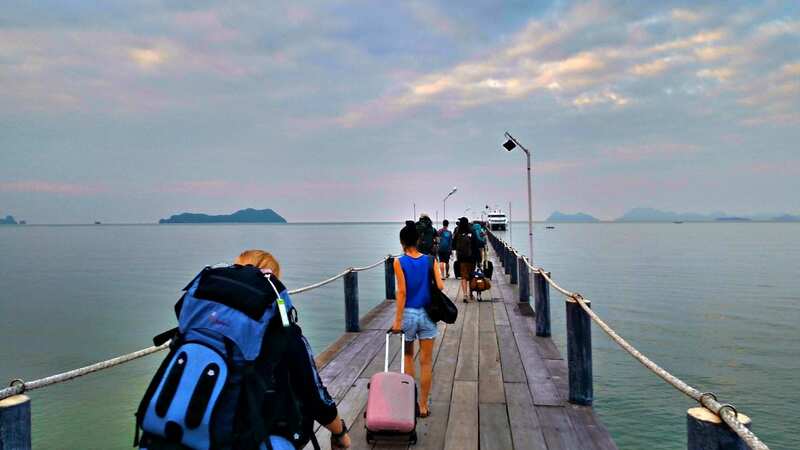 Rocktopus was good enough, close enough to Simple Life and guaranteed that they would be going to Chumphon Pinnacle. 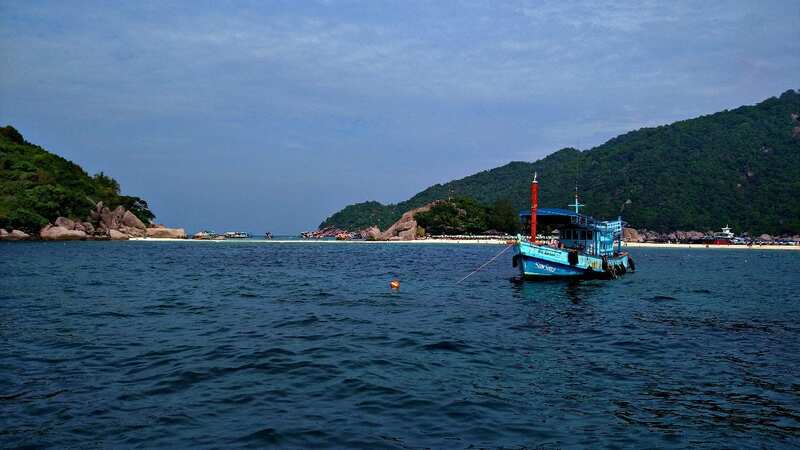 Chumphon Pinnacle is the most famous and coveted dive site in Koh Tao for a reason (perhaps second to Sail Rock but…). It is a long, complete pinnacle with a huge fissure towards the south end. The top is covered with anemones and tropical fish. It is also about halfway back to the mainland and a haul to get to. Rocktopus did their deep dive there for Advanced Open Water. Even at open water depths, it is impressive. For some reason, they came back to Koh Nang Yuan to finish up Advanced, probably for navigation or timing with the afternoon group, but I would have loved to have my second dive at Chumphon Pinnacle. I always felt safe with Rocktopus and their equipment was fine. They were just targeting a different demographic. Jenn noted that, at one time, she would have been hot for the uber cool and tatted dive masters. Now, they just seemed a little pretentious. Worse still were some of the kids diving. Their collection of bed bug bites were impressive too. It made me fully appreciate spending a little extra to get out of the hostels. I wondered if we could have paid a bit extra for scuba too. 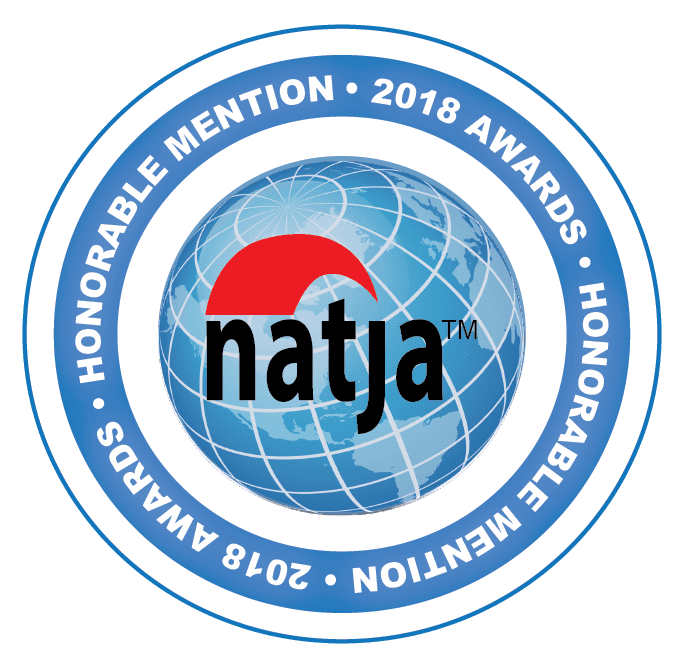 Could we have found a place that focused on recreational diving instead of instructional diving? A kind of place where we wouldn’t have to wash our own gear or ride to the dock piled in the back of a pickup truck. Where we wouldn’t have to wait till after the company debriefs to have our dive log signed. I am not sure where that shop is, but there is a lot to choose from. 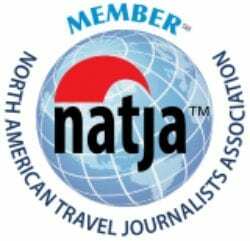 I think a good place to start would be being willing to pay a little extra for extra services, like with our accommodation selection. It seemed like the further we got from Sairee Beach, the more beautiful things were. Our first journey off the beach was simply walking north along the beach. We could access the beach easy enough from Simple Life. We took a side road, passed Roctopus, and in less than five minutes our feet were in the sand. The problem was, there were all kinds of boats moored in the water and all kinds of bars opening onto the beach. There were enough broken glass bottles to make me keep my shoes on. However, as we traveled up the beach, the scene changed. The bars gave way to upscale resorts. Instead of boats in the water, some boulders created sublime swimming holes and incredible photo-ops. We had a free afternoon so we checked with the staff with Simple Life for exploration options. They gave us a discounted ride on the hotel shuttle back to Mae Haad. We were surprised by how quickly things quieted down just outside of town. We were exploring a walking path along the southwest corner of the island. We passed by some promising dive shops that looked like they catered to a more upscale clientele and then things got magical. 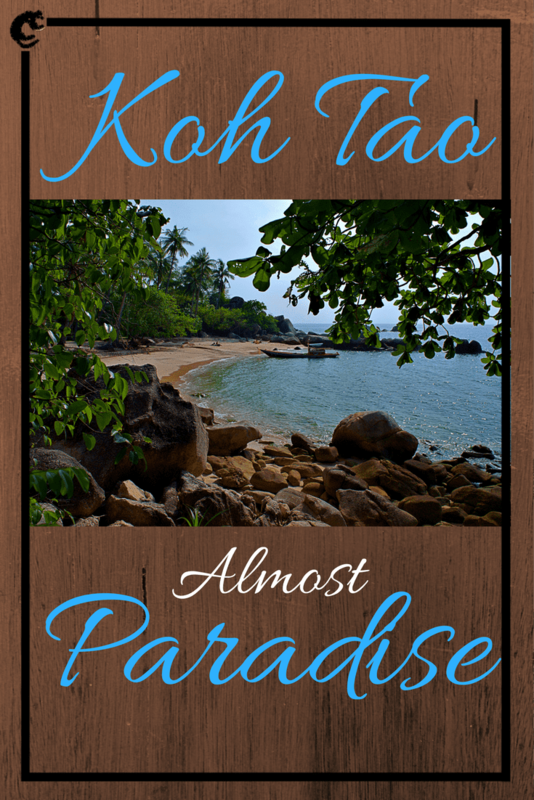 The path wandered by upscale resorts and then bungalows secluded into the tropical jungle. 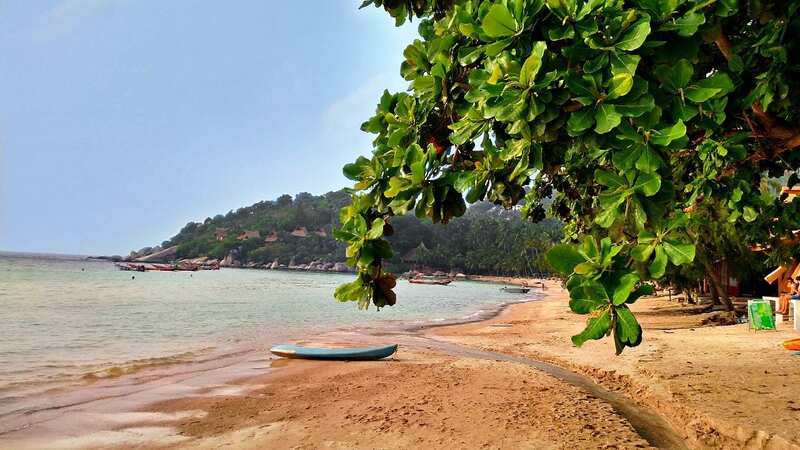 It popped onto private beaches tucked away in the back of emerald bays. 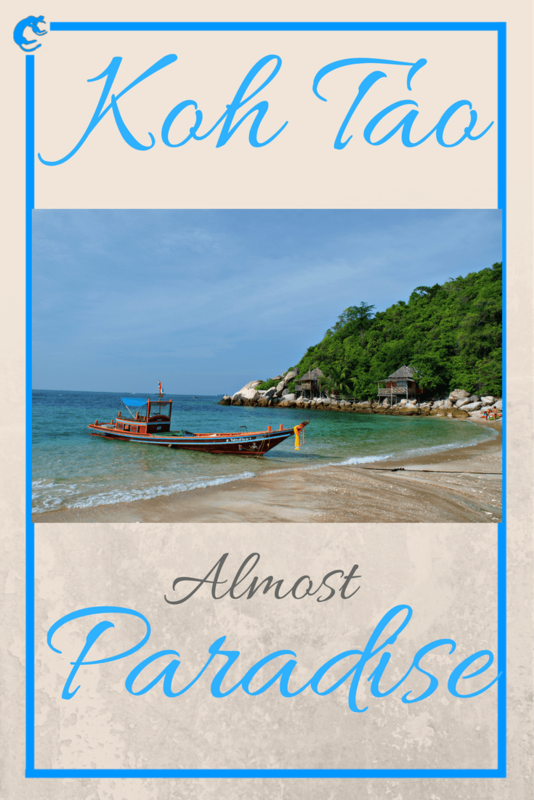 We explored and discovered the Koh Tao we dreamed of. After we had our fill, we caught a ride back into town with a long tail boat taxi. We asked the boat taxi to drop us at Sairee Beach. Despite his assurances when we boarded, we were dropped off well short, just on the north side of Mae Haad. We were kind of bummed but it turned out to be awesome. We found the beach road that everybody was talking about. The trucks and taxis travel about a ¼ mile inland on a decent paved road. The beach road runs about 100’ off the beach and is nothing more than a glorified moped path. 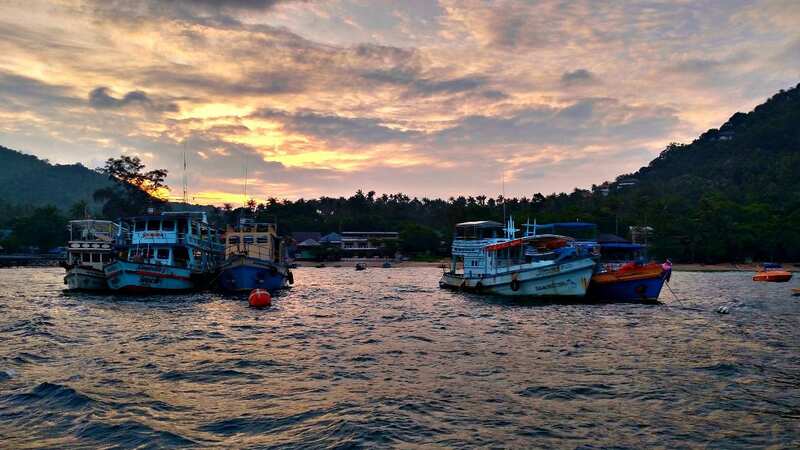 Still, it is lined with hotels, dive shops and restaurants that are close to everything (including the beach) but out of the hustle and bustle of Mae Haad or Sairee. We stopped for happy hour at a lovely little beach restaurant/bar that promised apple cider on tap, and stayed for an incredible sunset. 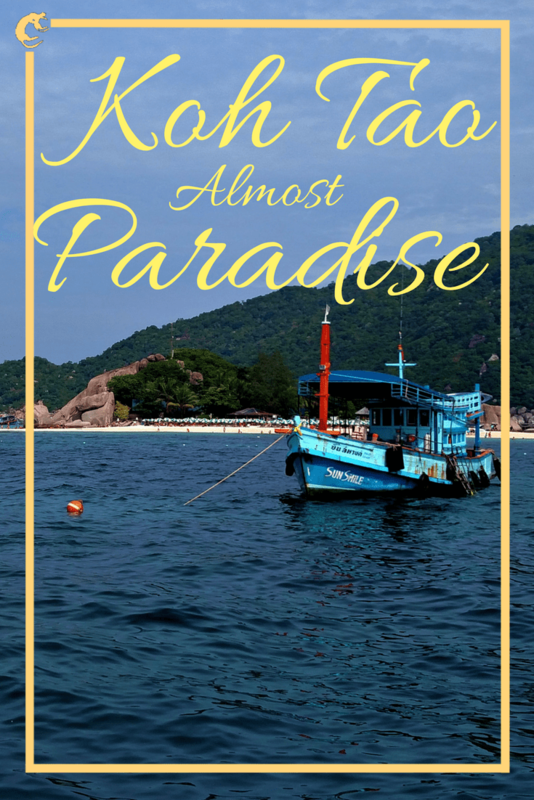 A question was once posed to Milton – “Thou hast said much here of Paradise lost, but what hast thou to say of Paradise found?” It is in this vein that I would want to leave Koh Tao. You can find your paradise there. If you are a millennial backpacker, you can find your peeps and grab a pint. You can find dirt cheap digs that will completely work within your budget. You can also check the notoriously expensive scuba box off your bucket list at backpacking prices. 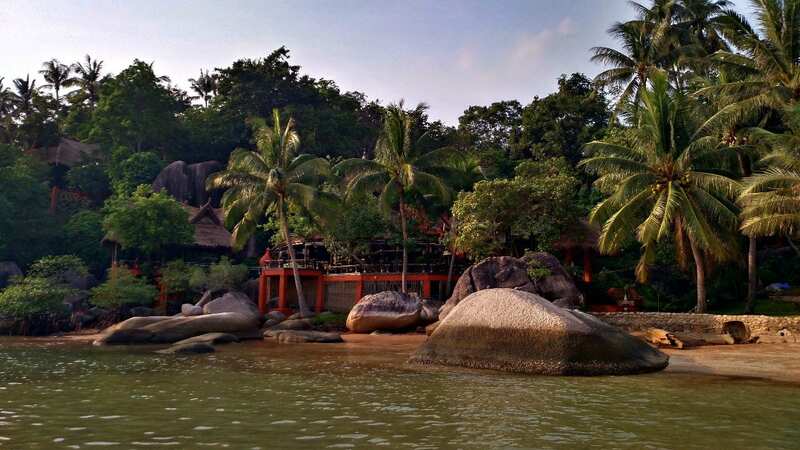 If you want a jungle paradise on a secluded island, you can find that too. It will cost you more, but it will still be a great bargain compared to other beachfront bungalows in the world. 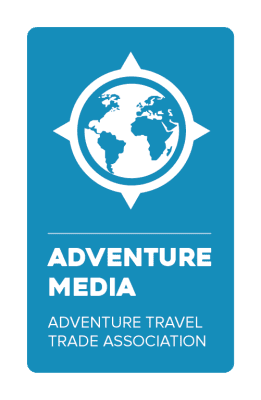 We don’t have the answers for how exactly which hotel/dive shop you should use, but we know the right questions to ask so you can find your level of luxury. If you ask the right questions, you will find your paradise.